We have for the first time calculated the population characteristics of the Earth’s irregular natural satellites (NES) that are temporarily captured from the near-Earth-object (NEO) population. The steady-state NES size-frequency and residence-time distributions were determined under the dynamical influence of all the massive bodies in the solar system (but mainly the Sun, Earth, and Moon) for NEOs of negligible mass. To this end, we compute the NES capture probability from the NEO population as a function of the latter’s heliocentric orbital elements and combine those results with the current best estimates for the NEO size-frequency and orbital distribution. At any given time there should be at least one NES of 1-meter diameter orbiting the Earth. The average temporarily-captured orbiter (TCO; an object that makes at least one revolution around the Earth in a co-rotating coordinate system) completes (2.88±0.82) rev around the Earth during a capture event that lasts (286±18) days. We find a small preference for capture events starting in either January or July. Our results are consistent with the single known natural TCO, 2006 RH120, a few-meter diameter object that was captured for about a year starting in June 2006. “…Just as for Nasa’s UARS satellite, which plunged into the atmosphere in September, there was high uncertainty about the final moments of Rosat. But if the timings are correct, any wreckage would probably have dived into the Indian Ocean – although no eyewitness reports have yet come in. 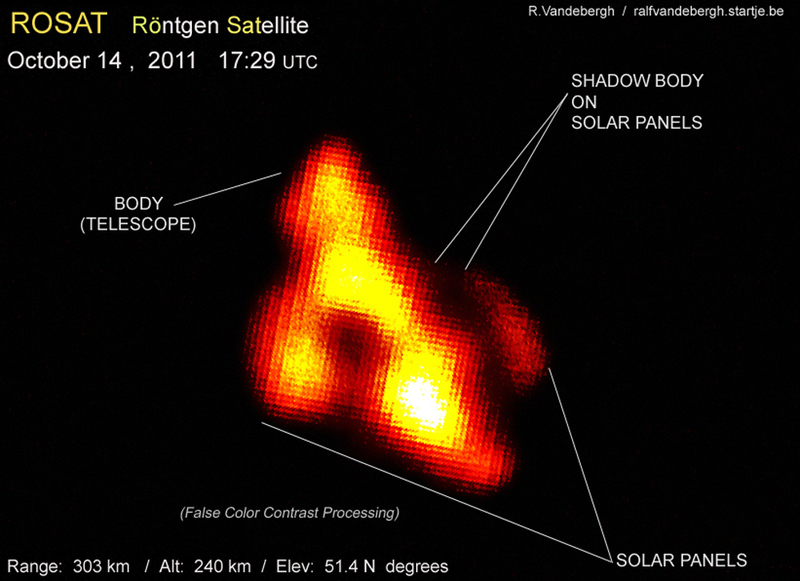 On Sunday, 23 October 2011, between 1:45 UTC (3:45 CEST) and 2:15 UTC (4:15 CEST) the german ROentgen SATellite ROSAT has re-entered Earth’s atmosphere. 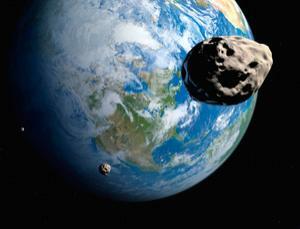 There is currently no confirmation if pieces of debris have reached Earth’s surface. 2. If Germany’s Satellite Falls on Your House, Who Pays for Repairs? 3. What Are the Odds You’ll Get Struck by the Falling ROSAT Satellite? What Are the Odds You’ll Get Struck by the Falling ROSAT Satellite? This exclusive image was made by Ralf Vandebergh, who said: “”It is false-color to increase certain visible contrasts. A very special detail visible is the shadow of the body (the telescope) on the solar panels! You can see the angle with the sun and the observer (me) as ROSAT passed not overhead but [at] 51.4 degrees northern latitude. This is a very difficult observation as the object is very small. Not long after re-emerging en masse from our underground bunkers and panic rooms, having successfully avoided being squashed by a falling NASA satellite on Sept. 24, humanity has learned that the sky is falling yet again. Another huge piece of space debris, a 2.6-ton, defunct German telescope called the Roentgen Satellite (ROSAT), will crash back to Earth Saturday or Sunday (Oct. 22 or 23), and the chances it will hit someone are even greater this time around. According to scientists in NASA’s orbital debris office at Johnson Space Center in Houston, calculating the risk of space debris hitting someone requires first working out how much debris makes landfall. Analysts then make a grid of how the human population is distributed around the globe. Oceans, deserts and the North and South poles are largely devoid of people, for example, whereas coastlines are brimming with them. In short, the analysts must figure out which patches of Earth have people standing on them. Throwing in a few more minor details, such as the latitudes over which satellites spend most of their time orbiting ? ROSAT will most likely fall between 53 degrees north and 53 degrees south latitudes ? the scientists calculate how likely it is that a piece of space junk will strike the ground where a person happens to be. This time around, the odds are 1-in-2,000, and there’s a one-in-several-trillion chance that not only will a person get hit, but that person will be you. Two dead satellites have crashed to Earth in as many months, after years of gradually getting dragged down to lower and lower orbits. More will re-enter the atmosphere in the future. With this in mind, you may be interested to know the overall risk of getting struck in a given year, or in your lifetime. ROSAT, a defunct X-ray telescope, is crashing to Earth sooner than expected owing to enhanced solar activity, says Johann-Dietrich Wörner, executive director of DLR, the German lab in charge of the mission. It was thought that the 2.4 tonne spacecraft would deorbit in late October or early November, but Wörner says the re-entry date is now going to be between 20 October and 25 October. A six-ton NASA science satellite crashed to Earth on Saturday, leaving a mystery about where a ton of space debris may have landed. The U.S. space agency said it believes the debris ended up in the Pacific Ocean, but the precise time of the bus-sized satellite’s re-entry and the location of its debris field have not been determined. The Upper Atmosphere Research Satellite, or UARS, ended 20 years in orbit with a suicidal plunge into the atmosphere sometime between 11:23 p.m. on Friday and 1:09 a.m. EDT on Saturday (0323 to 0509 GMT Saturday), NASA said. 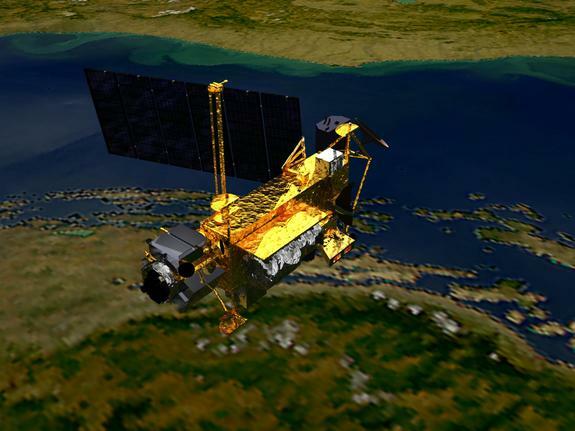 Orbital scientists say that the falling Upper Atmosphere Research Satellite (UARS) will not impact the ground over US territory. According to the latest predictions, it will splash in the South Pacific Ocean, a little to the north of New Guinea. Over the past few days, experts have been hard at work in analyzing the trajectory the UARS took when it began its descent, as well as all the other factors that may be involved in altering this course. This is very complex task, especially when considering that even solar activity can influence the rate at which a spacecraft is influenced and pulled by the atmosphere. However, researchers from NASA and the US Air Force (USAF) managed to understand UARS’ path in more detail. In addition, amateur astronomers and skywatchers have also been keeping an eye on the satellite, working with NASA to centralize the data. In the end, this proved to be useful for narrowing down the possible time windows when the satellite was expected. A post published on the NASA website on Thursday, September 22, indicates that the UARS has entered a 115-by-120 mile (185-by-195 kilometer) orbit around the planet, and that reentry is therefore expected to occur sometimes during Friday afternoon (EDT). Experts also said that there will be night at the location where the impact is expected to occur, giving people an early warning about the incoming spacecraft. “The satellite will not be passing over North America during that time period,” the NASA post said yesterday. “It is still too early to predict the time and location of re-entry with any more certainty, but predictions will become more refined in the next 24 to 36 hours,” the agency announced. The Joint Space Operations Center of US Strategic Command contributed to tracking the satellite as well. Expert Ted Molczan, who is using United States Strategic Command (USSTRATCOM) orbital elements to determine where the 6.5-ton spacecraft will impact the ground, says that scientists will not be able to determine exactly where UARS will impact until it does. 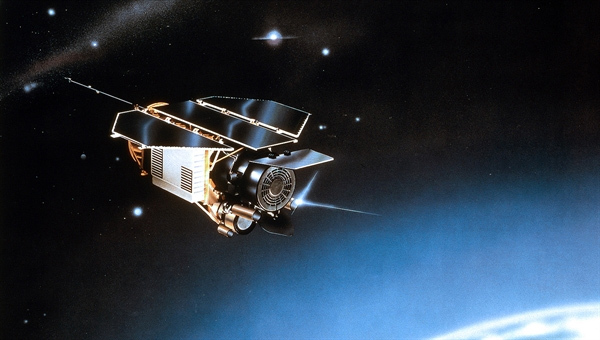 “I am making these estimates to maintain awareness of the approximate decay time, to maximize my chances of seeing the event,” Molczan explains, as quoted by Space. He says that the satellite’s debris trail will cover almost 500 kilometers (310 miles) in length. “If, within a few hours of the decay, it appears that it will occur on a revolution that spends some time above my horizon, then, weather permitting, I will go out and watch for it during the several minutes in which it might pass,” he concludes.